Before we get engrossed in circus talk, I wanted to share a little observation about Nashville the city as a whole with you. Back in the 90’s, I spent a great deal of time at the corner of the bar at Friday’s on Elliston Place. It was an area populated by bookies and philosophers and those who trafficked in their services. In short, it was a good place to enjoy a drink. As time has marched on, and Nashville has seen an unprecedented amount of growth, I can’t help but reflect back on that statement. Everyday it feels more and more like that saying has been played out and is now applicable to our entire city. Some great things have happened to Nashville over the past decade, but how many of those things can policeman, fireman, teachers, and such take advantage of? The growth has been great for business owners and corporations, but has the quality of life really improved for the average resident of Nashville? During his campaign, Mayor Briley touted the growth in dining out options, but how many of us can actually partake of these enhanced dining options? Sure there are a lot more entertainment options, but try taking a family of four to any of them without blowing the monthly budget in one night. Property values have exploded, but if you sell your house, where are you going to move? And God forbid you try to stay in the house that’s been in your family for years – taxes are going to catch you. Try getting anywhere in town without a reliable automobile; it’s impossible. It short, the cost of living has gone up and wages haven’t. As a result, Nashville has become more focused on making the city more attractive to newcomers and tourists instead of the people who actually reside here. People that made the city an attractive place to live in the first place. People that added character. Characters can’t afford to live here any more. Mayor Briley is a huge anomaly for me. I don’t know of a singular politician that I’ve wanted to support as much as I do him, who in turn works as hard to make it as impossible to do so as he does. It seems like he almost deliberately tries to keep the bar low. This isn’t some new sensation either; I’ve supported him since 2005, only to be disappointed at every turn. This latest move, though, may be the deal breaker. As part of the Friday news dump, it was announced that Mayor Briley had appointed a new education advisor to the mayor. Since both school board members Amy Frogge and Jill Speering have long been supporters of his, I thought it would be a safe bet to assume that he would tag a long time Nashville educator for the position. You know, somebody with deep institutional knowledge of events over the last decade. Since Mayor Briley was also touting education and supporting teachers as a primary focus of his, surely his choice would be someone with a long history of classroom experience. After all, everyone loves teachers and has pledged to be their champions. This would be a prime opportunity to demonstrate he was serious about providing that support. 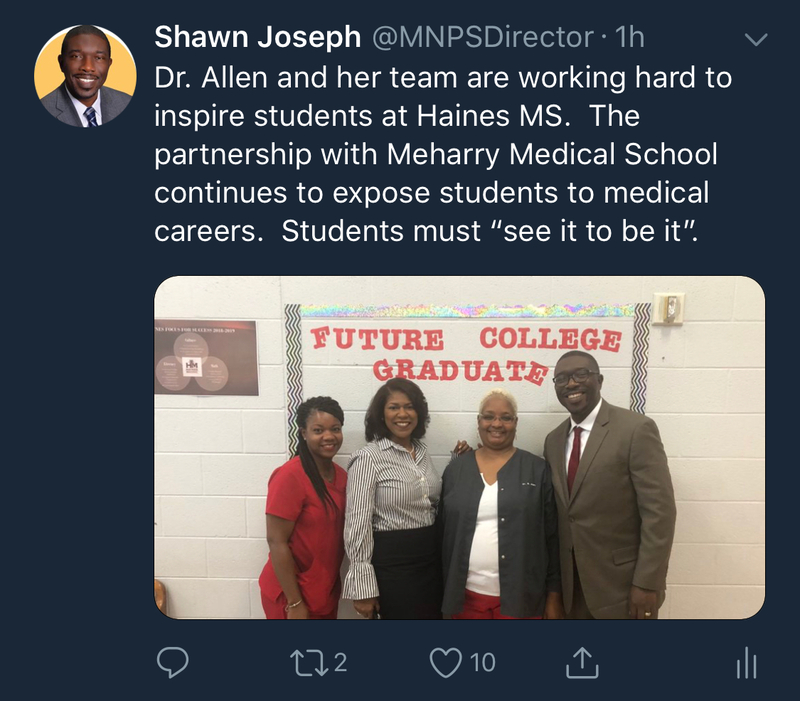 Furthermore, it’s been widely recognized that one of the chief failings of MNPS Director of Schools Shawn Joseph was his to recognize the depth of talent here in Nashville. What better way to rectify that misperception then to pluck one of Nashville’s very own long-term educators. Not like we don’t have a half a bushel to pick from. Nope. Instead, in a move that defies logic, Briley chose Indira Dammu to be his Advisor to the Mayor for Education Policy. Now before anybody gets too worked up, let me just say I have no reason to believe that Dammu is anything but a wonderful human being. It’s her resume I’m questioning and the once again slighting of our local talent. She got into the education world in 2009 via Teach For America and working for the Children’s Charter Middle School. They went out of business around 2011. CCMS, not TFA, unfortunately. She taught one more year at Achievement First in New Haven. That’s it for the classroom, as she headed to North Carolina as a policy advisor for North Carolina New Schools. Mind you, North Carolina is one of a handful of states that decided Tennessee’s Achievement District was so wonderful they had to have one of their own. That should say it all. In 2015 NCNS shut its doors for financial reasons. I’m not saying that Ms. Dammu ain’t wicked smart, but I am saying her experiences are rather… limited. She has absolutely no experience in a traditional school. In case her experiences don’t excite you enough, she’s also a supporter of competency-based education. “Compency-based education” is another one of those phrases that sound really cool until you dig in and then you realize that it’s the reducing of education to individual components that are deemed essential. Which, for a subject like math, has merit. For a subject like causes of the French/Indian War, not so much. 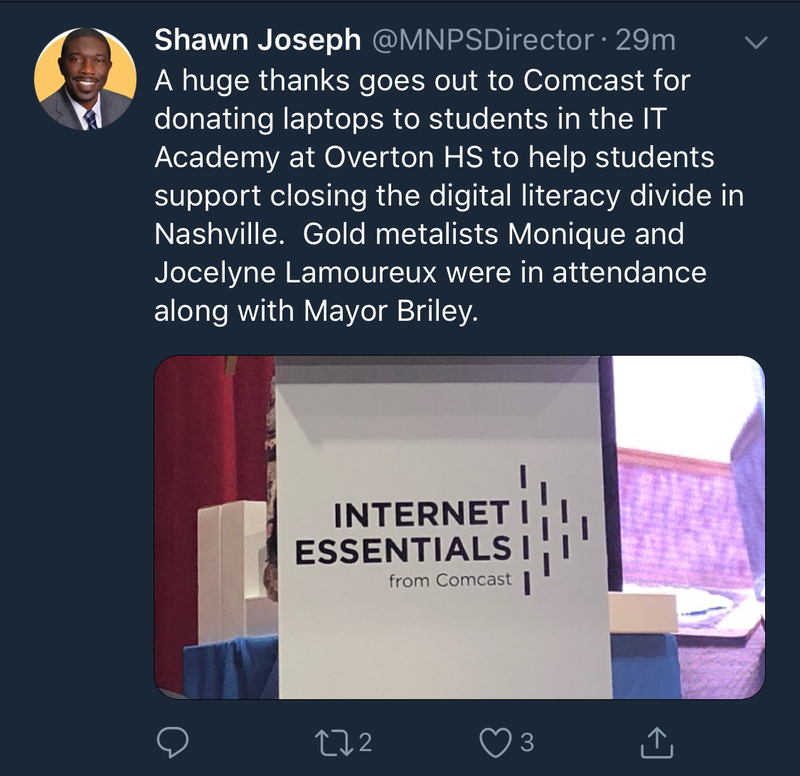 In other words, it appears that the Mayor has hired himself a dyed-in-the-wool education reformer despite the opposition to said policies by the majority of his supporters. Thanks for listening. This comes at a time when Nashville teachers are really starting to reach a breaking point. They are taking home less money this year than last. They are being asked to work and sacrifice more than ever before. They feel as if they have no voice in instruction and policy. As a result we are hemorrhaging teachers. Amanda Kail gave a fine state of the union address at this week’s board meeting. But was anyone listening? Certainly not Mayor Briley. The mayor’s appointment concerns me in another way as it adds to a growing list of disturbing indicators. We have a director of schools that seems intent on emulating 2005 and former director of schools Pedro Garcia and a chief academic officer who is hooked on phonics. Add to that new board member Gini Pupo-Walker voting for Dr. Gentry as chair because she has “philosophical differences” with Amy Frogge, not to mention Dr. Gentry’s chair status itself, and it starts to feel like we are jumping in the wayback time machine and opening discussion anew on things we’ve already been through. Despite all my rage, am I really just a rat in a cage? At a time when we have a school district that is in crisis, we don’t need to become distracted by rehashing the charter school wars and the reading wars of the aughts and the nineties. We’ve got to fix our current situation before we start looking for things in our past to start rehashing again. Let’s stay focused for a little bit, please. This past week has seen a fair amount of talking out of both sides of their mouth by public officials. 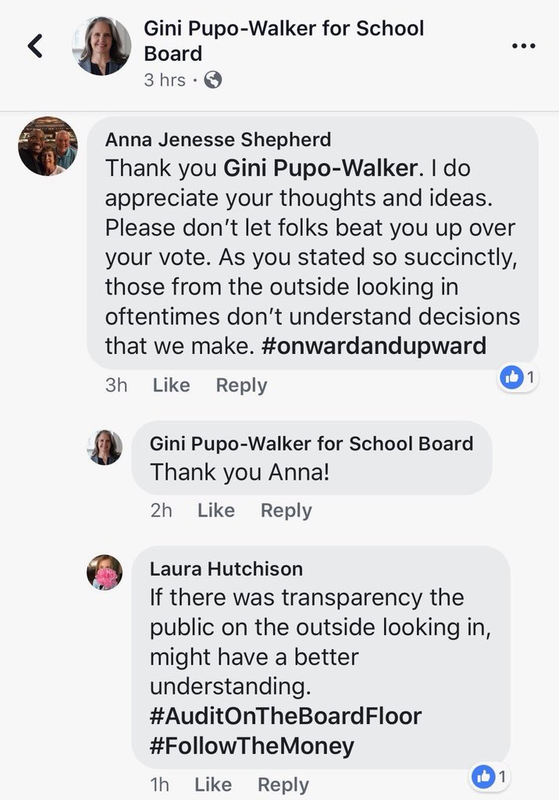 First you had former board chair Anna Shepherd being shocked that Russ Pulley thought constituents weren’t smart enough to understand city governance, only to later confirm that she felt that same way about her constituents and school issues. In a “hold my beer moment,” Teresa Wagner, VP of MNEA, decided she could match Shepherd’s bar. Early in the week, she admonished board members to make sure that their social media posts were factual. She closed the week by attacking newly-elected board member Fran Bush on social media. Wagner was an adamant supporter of former incumbent board member Tyese Hunter. As such, she campaigned heavily for the MNEA-endorsed candidate. Unfortunately for her, that candidate lost. 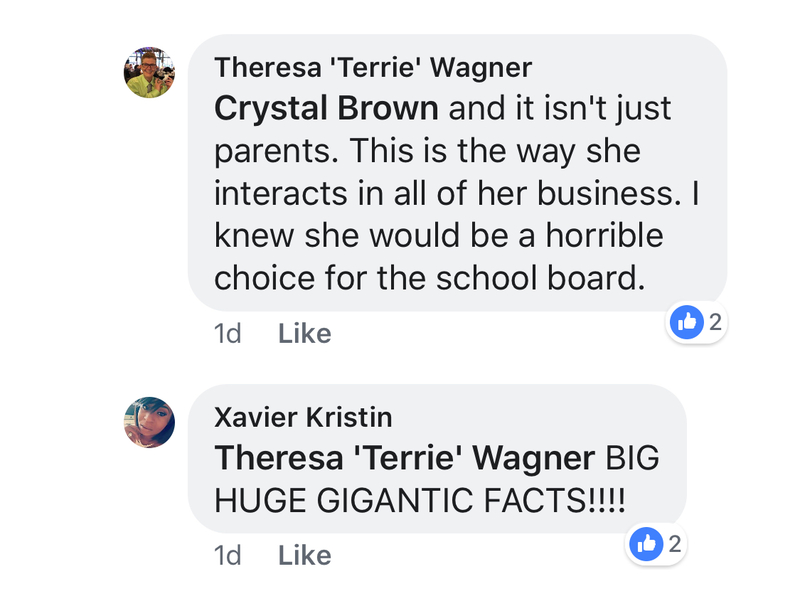 I would think that as a representative of MNEA, Wagner would realize the importance of being gracious in defeat and switch her support to Bush as the duly elected school board representative. Seeing as teacher compensation packages will be voted on later this year. I n her postings, Wagner claims to have seen Bush commit election law violations, but fails to identify what they were. Of course she also fails to acknowledge that Hunter has yet to file campaign disclosures. In light of her personal feelings, one has to wonder if Wagner can be effective as a union representative. Especially in light of the growing alliance Bush has with Frogge and Speering, two long-term, ardent supporters of teachers. Perhaps it is time for Wagner to eat a little crow. There are some really good people at MNEA who are working hard to improve compensation and conditions for MNPS teachers. I would hate to see their work undone because Wagner is incapable of abandoning her personal agenda. Couple quick thoughts on the Bush situation. I find it curious that a parent involved in a financial dispute was suddenly able to “discover” financial info that went uncovered by the press during the election. A press that was able to give full coverage to past digressions by both myself and district 6 candidate Aaron McGee. Speaking of McGee, according to Dr. Joseph’s schedule, he and the good doctor had breakfast together last week. Now I’m not accusing McGee of anything, during the campaign I found him too be an especially stand up guy, but the doc’s got to know that having breakfast with a fellow challenger before you’ve dined with the new board member in the same week that a “crisis” blows up ain’t going to present good optics. 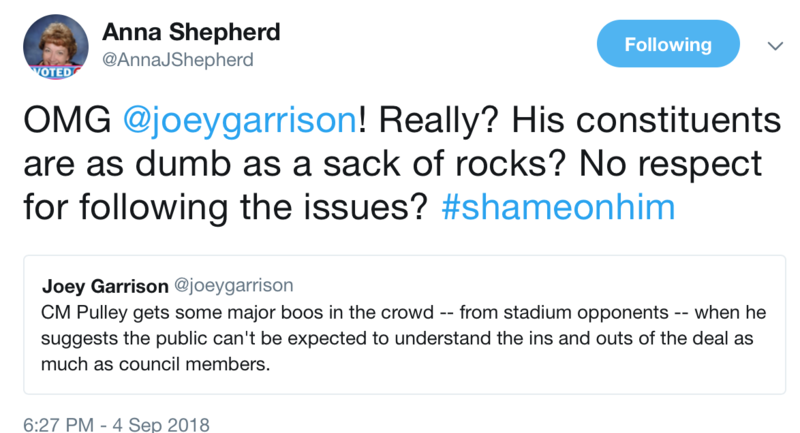 Especially in light of Joseph’s past history of election meddling. The article cites Lockland Design Center ES as the fourth best in the district, yet fails to give the criteria that ranking is based on. I’m assuming it is test scores because that’s the way we roll. That’s the rub. We already know that standardized tests reflect more on socio-economic status than on learning. So if you are going to use tests to rank schools, are you really surprised when diversity goes out the window? And why are we talking about this school when there are several schools with numbers that are equally as segregated, both towards black and white students? Here’s a solution. Stop acting like education is a football game or competition. Stop ranking schools and giving a false sense that one is infinitely better than another because of achievement scores. Support all schools and work to make sure experiences across the board are equitable. Something that is virtually impossible when you divide the district into quadrants, there by destroying tier alignment. 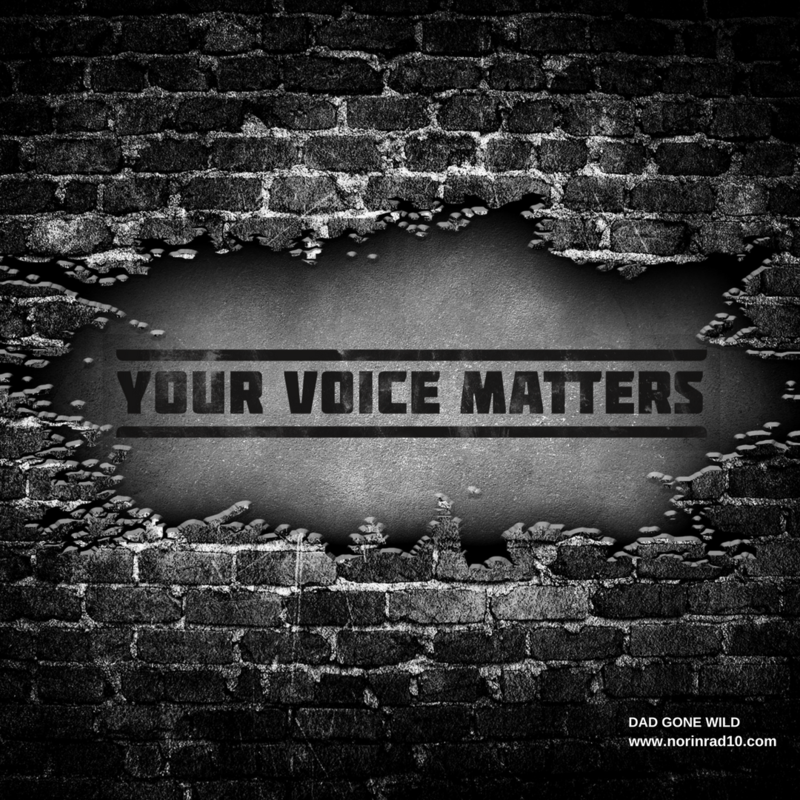 Create government policy that addresses housing and wage inequities. Or we can just do more of the same and feign horror when we read these stories. What an incredible response we received to this week’s poll questions. The question on board members received over 240 responses. I’m shocked that there are that many of you even willing to answer survey questions anymore. It seems that every time there is an issue in education, both at the state and local level, the go to reaction is another poll, focus group, or listening tour. It seems like parents and teachers endlessly participate, yet never see results that look like the answers shared via the polls, focus groups, or listening sessions. There is always a feeling of participating in a pre-ordained event. One that the results can’t be revealed until the semblance of input is received. Just once I’d like to see policy derived right from a poll, focus group, or listening session. But enough of my ranting, let’s look at results. For the most part, people have been very civil with the write-in comments. Every once in a while, I get one that I have to think about before publishing. I always share them because that is what I do. It’s an open forum uncensored by me. This was one of those weeks, and as always, I’m sharing, but making it clear that these are readers’ thoughts and opinions, not necessarily mine. They couldn’t get teachers a 1% raise, so none. I don’t have any knowledge of this term so I cannot make a judgement. Advanced is great once your reading… what’s the plan for those that aren’t? I’m a metro teacher, never heard of it. The last question asked for your thoughts on the use of clubs. Out of 192 responses, 63 of you loved the idea, and another 47 expressed that they were essential and needed to be held during school time. A lot of write-ins on this one with many of you expressing concern for tier 2 and 3 kids. Fine when not allowed to go overboard. Way too many offerings dilutes quality! Available to ALL students. Tier 2 & 3 students need experiences, too. We can’t pay teachers for 7.5, how are we gonna pay them for 9.5? Dan Mills has them, all after school. It’s a good thing! The district needs to actually fund them. Teachers will have to purchase supplies out of pocket. Been there, done that! All kids should have access. Love the club idea, and lets fully fund RTI, so it runs as intended. They should be for everyone, not just tier one. High poverty schools do not have the resources. Hunters Lane does it right. GPW’s “philosophical differences” have probably set us back a solid two years. It may be worse than that. What a missed opportunity. Warner elementary is in the same area as Lockeland with almost opposite demographics. They will probably only be off the priority list because they are technically a new school due to the new STEAM grant. A Lockeland education and a Warner education are not equal despite pulling from roughly the same area, and that is the problem. The GPZ for Lockeland (as stated in the article) is 2/3 Black. Appointment of a reformer to the mayors inner circle doesn’t surprise at all- no head scratching. When looking at the limited dollars he knows he’ll have from council I am sure he, like Dean before, sees no out but to aim for reform rather than stengerhening the neighborhood schools. No one really knows what it takes to do that. Let’s just hope Dammu has some stomach for even trying on that front. The state of politics here and in the great Volunteer state has to do with one thing – voting – or more importantly the lack thereof. With 1/3 of the state possessing a degree higher than high school and yet ironically or not the number that parallels those whom elect to vote therein lies your problem. And this in turn explains in some way why elected officials presume to assume (and you know what they say about ASSUME) that the larger populace are confused/ignorant or whatever superlative you wish to place with regards to their constituents. There is a massive push to get Voters registration up (that we are not number 50 as we are in voting we are 45!) but they still have to vote. Why is that happening? That is the problem. RTI? How about Civics. Testing? How about knowledge in your own community? Why is that the outsiders know more? We make it our business and then the sharecroppers cut their share and split. We are blamed and shamed for all the societal ills here. Really? I have no history here what.so.ever and I vote and am informed about every single issue and candidate. I have attended many meetings from local community groups where some rich cat shows up and placates everyone to the larger ones regarding building permits, transit and MLS. And the divisiveness and misinformation runs rampant. It is bought, paid for and shoved down throats like sweet tea. Ask about the “agreement” made between a newly formed civic group and the “investors” in MLS about housing and jobs? Who will uphold that agreement and ensure it is followed up and maintained? Can a private entity sign and agreement with another private entity and assume the public sector will enforce it? Well in the Courts yes. Many families are suing their states to ensure funding is upheld with regards to public education. That was in the New York Times recently. And I know first hand about McCleary in Washington State and it is one said example which now is placing huge restrictions and challenges on how schools and districts will fund. Good on one hand but the other hand is ready to slap it down. As for Briley he is on the re-election cycle now and his choices and decisions can be asked about on that trail. As for Haslam I am not sure how the lame duck’s current listening tour with McQueen matters unless the future occupant plans on implementing them. Dean I understand is a reformer and Lee a voucher supporter and neither appeal to me but I will still vote and pick what I believe is the lesser of two evils. Again I am entitled to my opinion as I am my vote. Whom they choose to select to appropriate essential positions should be asked and answered PRIOR to their election. But that again requires activism and engagement. Note the vote stat to see how that is working out or not. What about the violence in schools another Teacher/Coach arrested and what is that about? How many more incidents and problems does it take for anyone to do anything? I look to the kids at Stoneman Douglas for inspiration. They are children. What are the Adults doing? Supporting them and they are going some big money and big voices but change doesn’t come easy. As for our current Board seems that change is not happening nor listening either. Be louder. Be more but be there. They one day may listen. There’s light years btw dean and Lee on reform. Dean is reform lite beer. Almost like an Odouls compared to Lee.